A 3.74m x 1.52m garden shed is the shed to grab if you want more storage room but not the bulk! 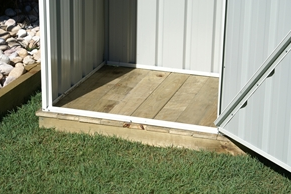 This Eco Shed is wide enough to give more space for you to store your large equipment. But it’s not as deep as the usual square sheds, so you can still fit it in certain long, narrow areas. With its braced double doors, it will be easy for you to get your things in and out of the shed. All Eco Sheds use high-tensile steel that’s of lower impact on the environment and on your pocket. It even comes in 100% recyclable packaging. Best for storing larger pieces of equipment, such as riding mowers, generators, and similar machines. 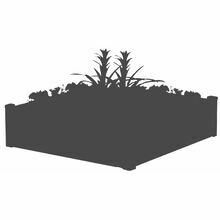 • Gives more light and style to your shed. • Please note that the sheet is larger than required for this shed model and has to be trimmed to fit. 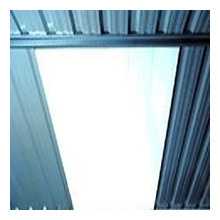 • Allows more light and breeze into your shed. • Needs to be installed at the back wall of this shed. 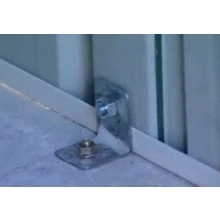 • Recommended for non-cyclonic areas and for a more portable shed. • Kit includes 5 panels, 1.52m x .78m each. One panel must be trimmed to perfectly fit the floor of this shed. 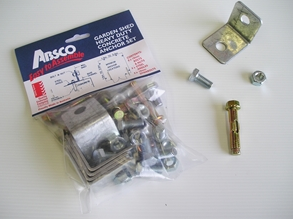 One of the most popular products from the favourite Aussie shed brand ABSCO. But you’ll get the best possible deal for this product today only here at Simply Sheds! Aside from our Best Price Guarantee, we’ve also got Simplified Shipping services so you’ll avoid the usual delivery hassles of online shopping. You can even enjoy FREE home delivery for specified metro areas. Ask us, too, about any bonus deals offered with this product today. What about this Yardsaver? This gable shed is made of 0.25BMT weather-resistant protectively coated steel and available in Zinc and in Colour.